Well I am not much concerned about the Trade war but more about the domino effect on Chinese economy which might become worldwide carnage. The Tariff domino effect is back and this will again create volatility across the Globe and markets will again go for a roller coaster ride. The U.S will put 10% s tariffs on a $200 billion in Chinese goods, which will go up to 25 percent at the end of the year. These new tariff will create massive blow to the global trade and manufacturing and the biggest point to be noticed is that there is no end of the same as per the statement from U.S President as he plans to make the total amount to scale beyond $300 billion. There will be further tariff in the long term. Currency volatility and China currency devaluation strategies would be coming back. Further I would not be surprised to witness that China comes up with further stimulus to keep its economy afloat. In fact logically it is expected that china soon will come up with relaxation of funding guidelines so that liquidity is kept alive. Many of friends would argue that china does not have such room keeping the debt to GDP number in mind. Well, I beg to differ with them and I am confident that China will inject liquidity massively. China has enough ammunition to keep its economy going ahead but the tariff affect on the global economy cannot be ruled out. It’s true that the Chinese economy has 260% Debt to GDP but they will prefer to go further to save their economy from slowdown of manufacturing which will impact their GDP. Lending ropes will be eased by china soon across all verticals so that the supply of liquidity keeps the economy alive. Remember if they don’t go for any liquidity measures then this deficit will impact the Chinese economy in a broader way. Well as said in the beginning that I am more concerned about the Chinese stock market rather that the stock market china. Any massive fall in the Chinese stock market will be carnage for the Chinese financial system and also for the Asian economy. Chinese companies’ use of their stock as collateral for loans. Chinese financial institutions had nearly $220 billion in such loans at the end of July. The contagion call will massive trigger. China is already looking ahead for buyback of shares to keep the debt market afloat and to save from any carnage. Till now in 2018 more than 700 Chinese firms, which turns out to be 20 percent of actively traded stocks, has announced plans to spend money on their own shares. The 24 billion yuan ($3.5 billion) have been deployed. This number will grow more in the coming days due to the ongoing trade war which will impact the profitability of the Chinese company which will lead to fall down in the stock price. Now if stock process goes for a toss then these banks and financial institution loans would be under intense threat. Short term loans are the biggest risk as of now which will get more intensified as these new tariffs comes into effect. In China, 22% of listed companies have at least 30 percent of their shares pledged as short-term loans. In the second half, a staggering 1 trillion yuan of share-pledged loans will be due. Hence its proves that Refinancing activities within the Chinese economy will begin faster to save the economy from any collapse which gets reflected in the stock market. Anyone default within Chinese company would spook a massive fire for the stock market and economic weakness will be exposed. 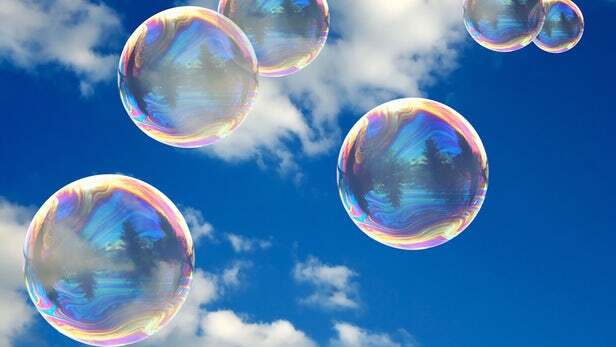 China will come up with more steps to create the bubble so much that not only Asian economy but the whole global. China is on a massive risky level. Asset bubbles would create major blow the day it's beyond manipulation. DOES PASSIVE FUND MANAGEMENT IS NIGHTMARE?